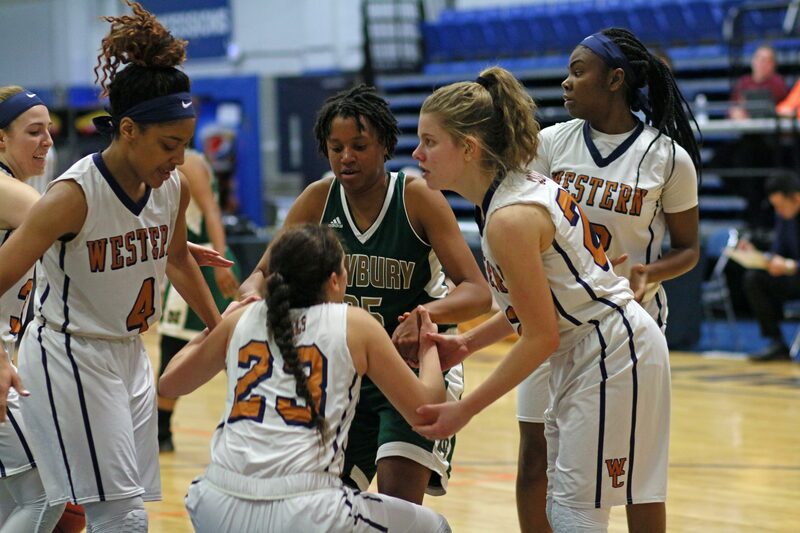 (Danbury CT) “This is a whole new way of playing,” WestConn coach Kimberley Rybczyk told me afterwards. No doubt about it. 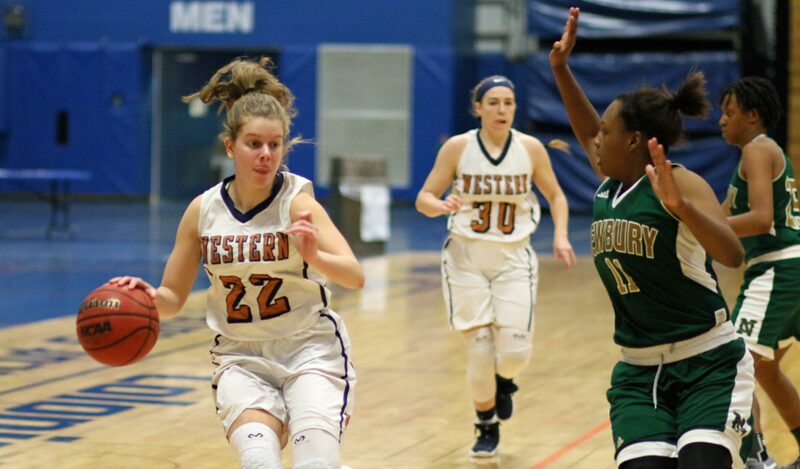 Western Connecticut started fast, played everyone in every quarter, and routed Newbury, 118-68, in the opening game of the WCSU Hat City Tournament on Friday night. Today was the sixth time the 6-4 Colonels have gone over one hundred points. 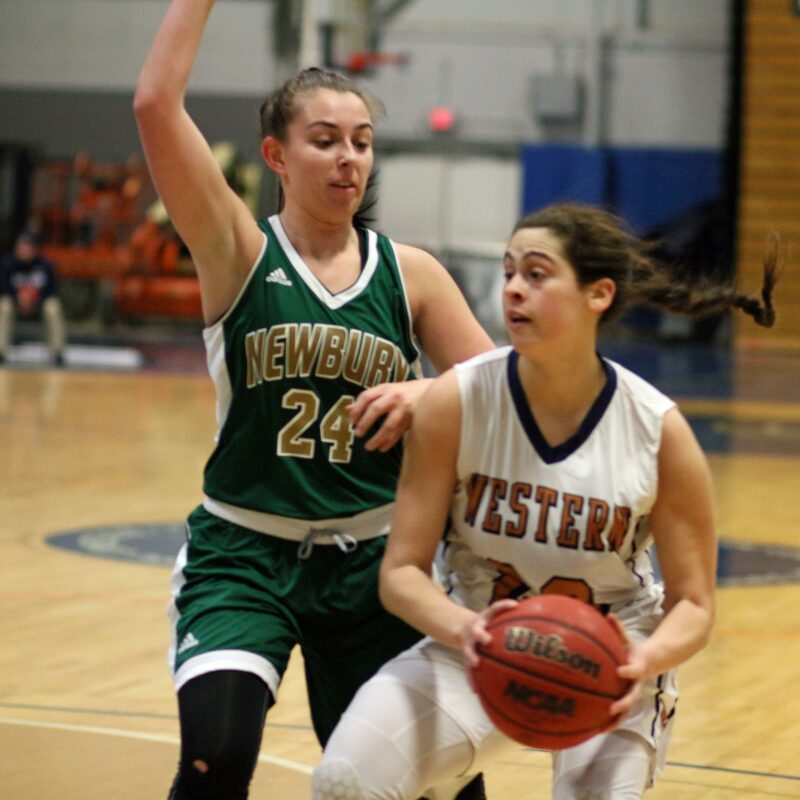 Western Connecticut was a bad matchup for the visiting Newbury Nighthawks. 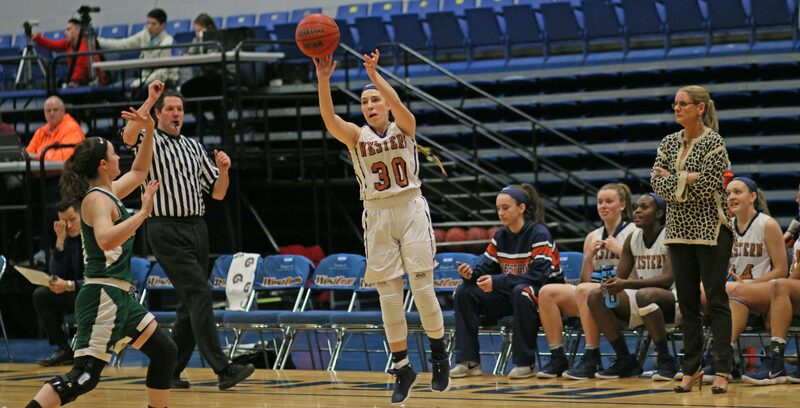 They have been averaging 64 points per game and even though they passed that number against WCSU they still lost by fifty! Newbury (5-5) was overwhelmed by the pace and the pressure from the get-go. During a two-minute stretch in the first quarter a 3-2 game became 15-2. It went downhill from there. The steady influx of fresh bodies enabled the Colonels to wear out the Nighthawks in a hurry. On offense the Colonels ran every time they had the ball. Later in the game, the speed turned up a steady flow of layups. Throughout the game, the Colonels got great looks at 3-point shots and drained twenty-one from long range. 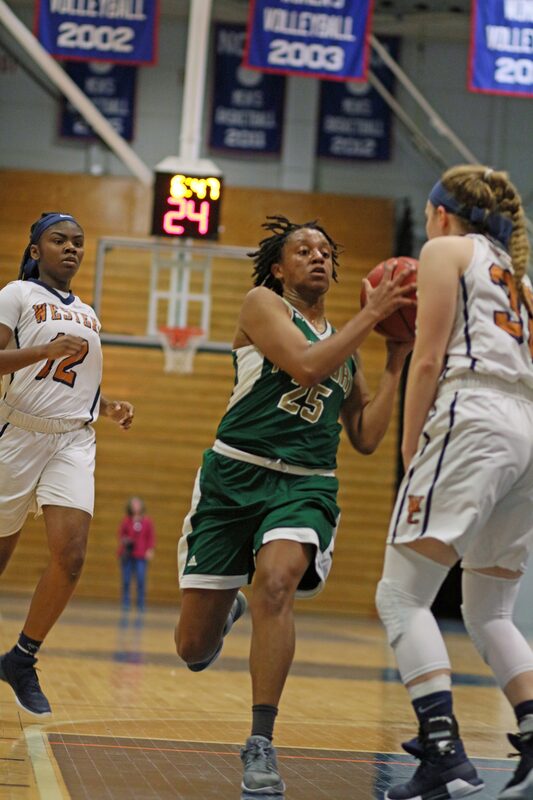 Junior Jancy Sherwood led all scorers with twenty-five points including six from beyond the arc. On defense the Colonels pressured full-court. The Newbury player inbounding the ball was ignored and the pass in made to be very difficult. Once the ball was inbounds, a double-team arrived quickly. In the halfcourt, the Colonels were always looking for places to apply double teams. 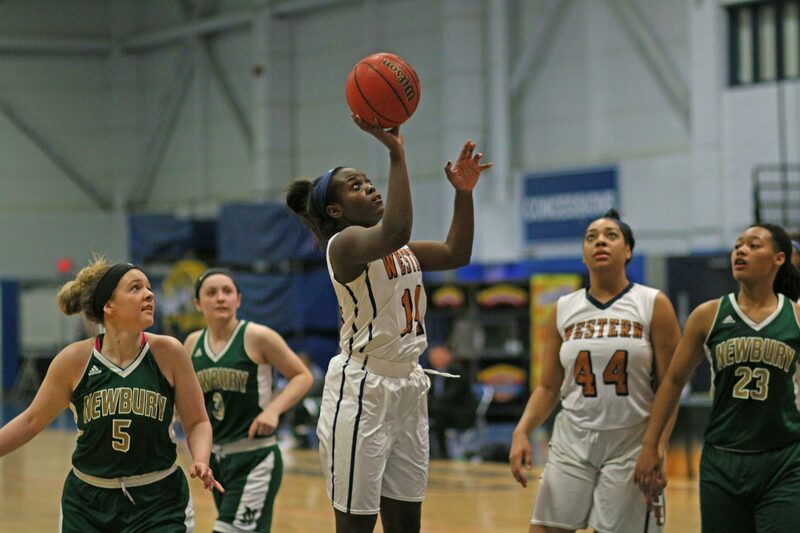 Those forty-six Nighthawks miscues tells you how effective WestConn was at it. 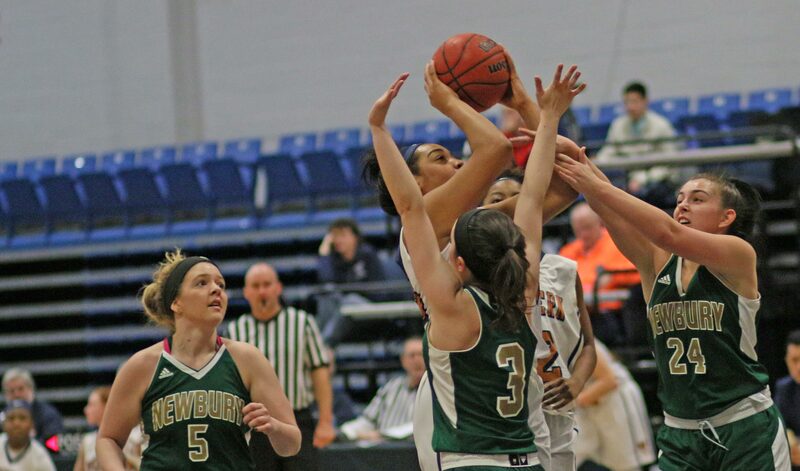 Destiny Spears of Newbury may well be the most tired player in Danbury tonight after logging thirty-six minutes. Destiny finished with a very unusual triple/double: 15 points, 10 rebounds, and 14 turnovers. The Nighthawks had a shocking forty-six turnovers in tonight’s loss. The team from Massachusetts was victimized frequently by double teams that led to bad passes. 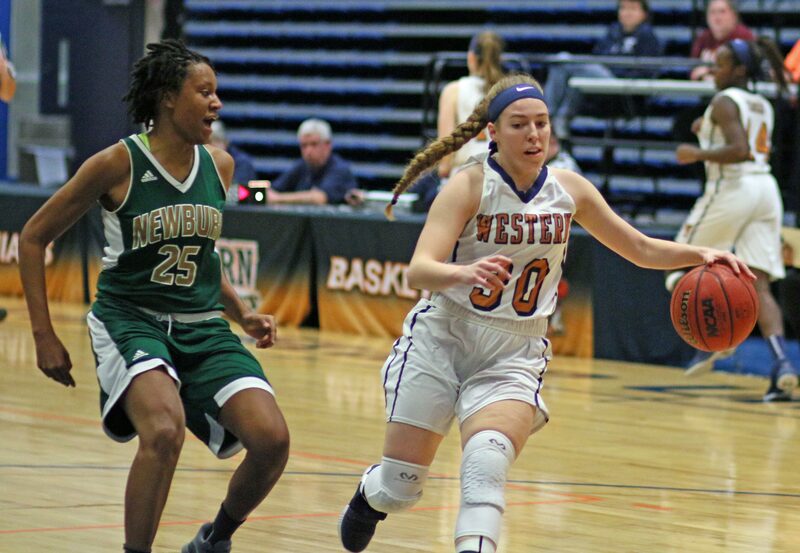 Jessica Davis of WestConn had a double/double as she put twelve points together with ten rebounds. 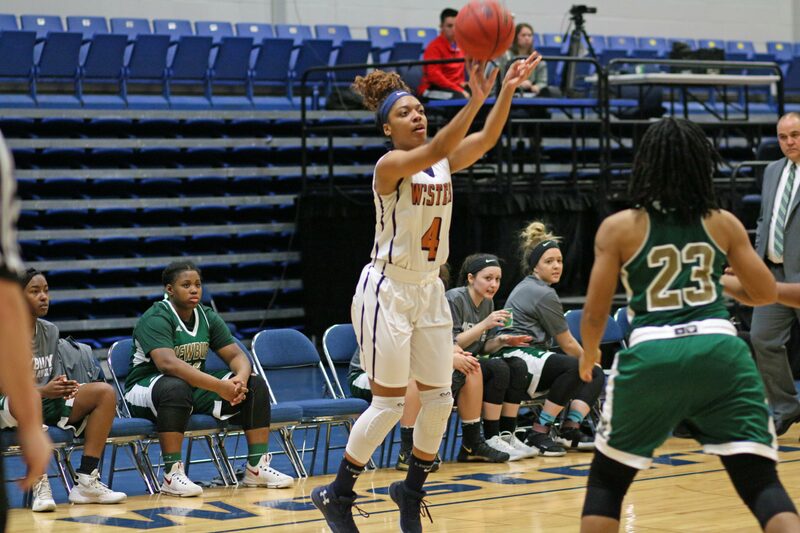 The best stat line of the night may have been by Genesis Torres: 15 points, 9 rebounds, 7 assists, and 7 steals. Nice work by the Stratford (CT) sophomore. The Colonels have yet to make the uptempo style work in the Little East Conference where they are currently 0-2. 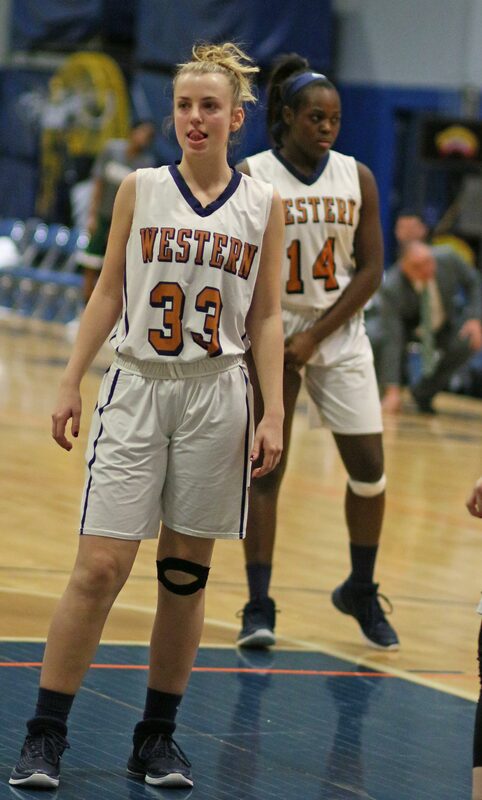 Kaitlyn LaBonte (last season’s 2nd highest scorer) is injured but is expected to return soon for WestConn. 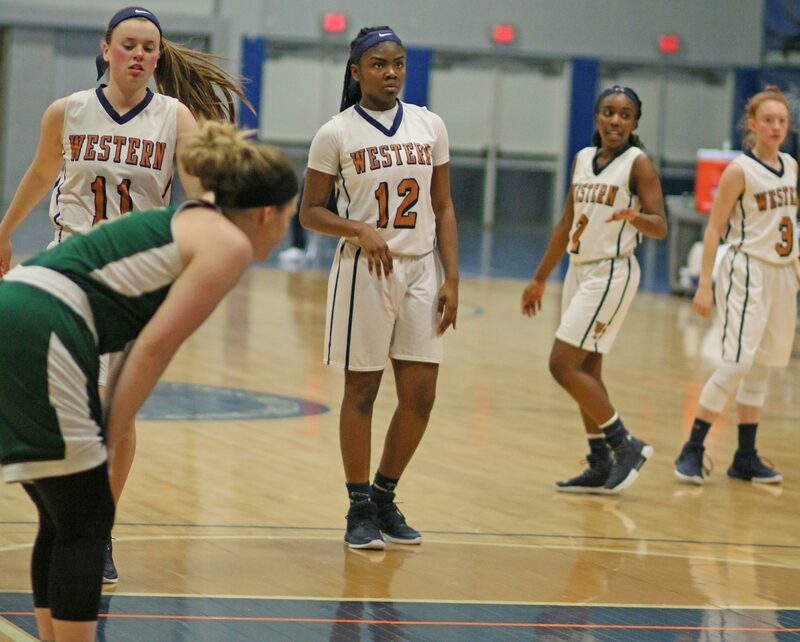 Western Connecticut moves on to the finals on Saturday. Newbury gets the consolation game.